It's his 41st Wimbledon this year, but he still gets goosebumps every time he walks in through those gates, Vijay Amritraj tells Alan Wilkins. 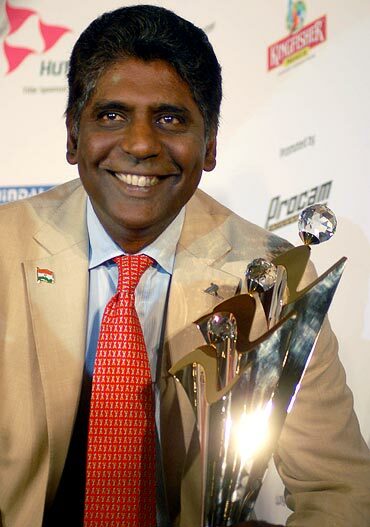 This will be the 41st consecutive Wimbledon Championships for India's tennis great, Vijay Amritraj. His television colleague, Alan Wilkins, will be making his 14th appearance, and this year will be the 12th Wimbledon that the two of them have presented together for ESPN Star Sports. 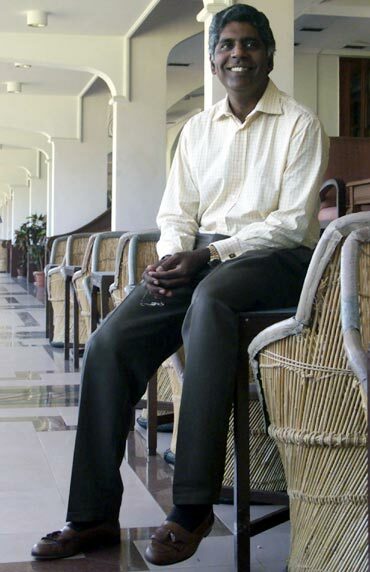 The verdant courts of the All England Club at Wimbledon are Vijay Amritraj's favourite ground. The Championships, which got underway on Monday, will be the 41st consecutive one he has attended and he claims he still gets "goose-bumps when I walk through those gates. There is no place on earth like Wimbledon. It is the ultimate." In fact, Amritraj remembers the first time he was at Wimbledon almost as if it happened yesterday. "It was 1969 and I was a skinny little 15 year old who was on the India junior team on a tour to the UK and Europe. I had managed to save the 50 pence or so to be able to get in to the All England Lawn Tennis Club and there I was in the 'Standing Only' area on Centre Court. It was the most incredible feeling being there and I have never forgotten how I felt in those hours when I happened to watch the magnificent match between the great Pancho Gonzales and Charlie Pasarell. I actually went back the next day to see the end of the match that lasted two days and 112 games in all." But it was only two years later, in 1971, that Amritraj first played on the fabled courts during the Junior Championships. A year later he was back playing the seniors tournament. "In my first match, I beat the American Bobby Kreiss, a Wimbledon junior champion, then lost my second round match to another American, Jim McManus," Amritraj reminisces. But the one match that tennis fans of a certain age still recall is his 1973 match against the Czech player, Jan Kodes. Amritraj was up 5-4 in the fifth set and 30-all, with only had a smash to take it to match point. He missed, hitting it long over the baseline. "People today still remind me of that miss. I lost the match and Kodes went on to beat the Russian, Alex Metreveli, in the final. I think I could have won Wimbledon that year," he recalls. That wasn't Amritraj's only miss. Over the 1970s and 1980s, he stretched many a top-ranking player in closely-fought matches at Wimbledon. "In 1979, I lost to Bjorn Borg in five sets. In 1981, I lost to Jimmy Connors in the quarter-finals, having been two sets to love up on him! One of my fonder memories was in 1985 when I beat Frenchman Yannick Noah, who had just won Roland Garros, in four sets on Centre Court." 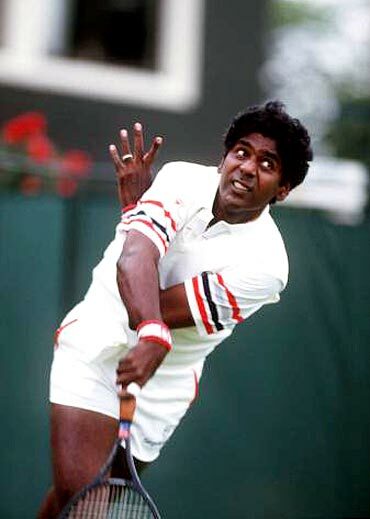 Amritraj also played many doubles matches at Wimbledon with his brother, Anand. "To have your brother alongside you on the court and off was so comforting. I doubt very much I would have played for as long as I did [without him]," he says. Since his retirement from competitive tennis in 1986, Amritraj has been back at Wimbledon every year as a commentator. He is covering the event for ESPN Star Sports this year too, the 12th consecutive year that he and I will be presenting it. This gives him a unique perspective on Wimbledon and the players -- both the ones who won and the ones who didn't. Pancho Gonzales, Ken Rosewall and Ilie Nastase are, according to him, the three great players who did not win Wimbledon. "Pancho was magnificent, Rosewall had the best backhand I have ever seen and Nastase was the most beautifully talented tennis player -- a genius with the racquet. They should have won Wimbledon." And among the three who won multiple titles -- Borg, Sampras and Federer -- who was the best? "These are three generations of players and in my opinion, the greatness of each player comes out in his own era. Borg would have been great in Pete's era for example, but he stopped playing at 26! Federer can win even more Slams. Pete didn't win the French Open. It is a fireside chat topic, isn't it? But they were all truly great players. I think Borg's record of six French Opens and five consecutive Wimbledons is outrageous. He only played one grass tournament a year and that was Wimbledon and he won five in a row!" 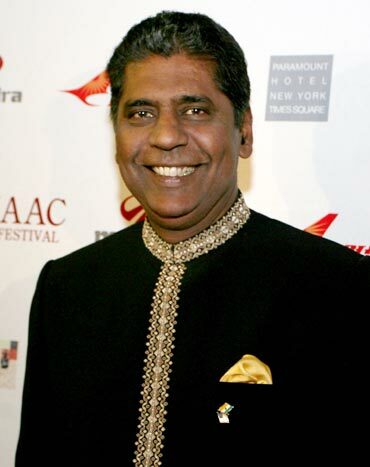 In 2001, the All England Club made Amritraj a life member, he is the only Asian to hold the membership. "This is a great honour for me and my family," Amritraj says. 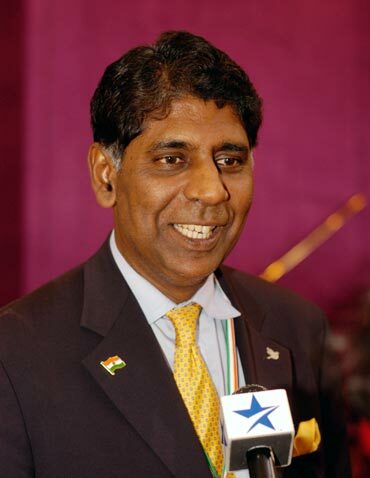 Since 1996, Amritraj has been trying to encourage tennis in India through the Chennai Open, an ATP World Tour 250-level tournament that attracts top-ranking players such as Rafael Nadal and Carlos Moya. But it hasn't been easy, especially in the last two years. "On the ATP Tour, the top players have to commit to two 250-level events a year, so naturally, most of them play the week before Wimbledon (Halle or Nottingham) as these are good events on grass," Amritraj explains. "To get the top players from the States to play in India at that time of the year is tough; they are going to be looking at events in Australia as a lead-up to the Australian Open. Chennai is out of the way in January," he adds. Besides there is the problem of money. "If you wanted Roger Federer to play in Chennai, it would cost you a million dollars." Speaking of players from India, Amritraj feels that the differentiating factor between them and youngsters from western countries is that "an Indian tennis player is physically mature between the ages of 26 and 32 and mentally mature at 18. A western athlete is physically mature at 18 and mentally mature at 28. Take Boris Becker who won Wimbledon at 17 and Rafael Nadal who won the French Open at 19." Also there is the cultural issue. "In India, if a young player has earned US $100,000, the attitude is to put it away for a rainy day and save it, but not invest that money in themselves, such as getting a good coach from the States."